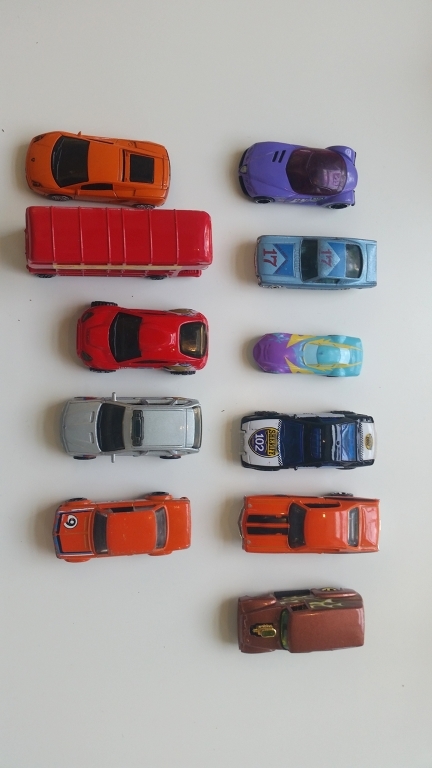 11 Hot Wheels and Matchbox-style cars. Assorted. Comes in a plastic storage case.